The Clinique Cleansing Brush was designed with a slim and compact handle, making it agile and comfortable to use. This ultra lightweight device has an easy on/off switch with an automatic 30 second turn off. The brush is made of 2 types of fibre: the white bristles are soft and perfect for the cheeks, whereas the green angled tip is more rough and ideal for the T-zone. 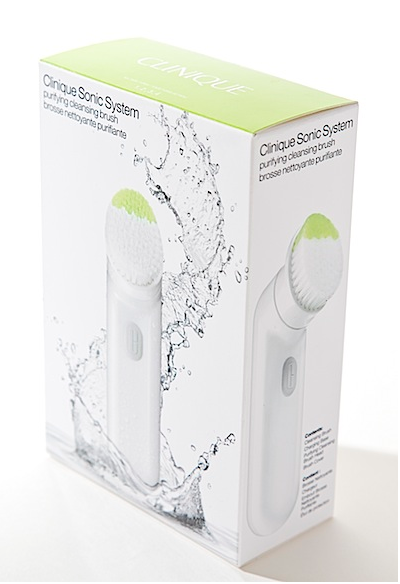 The NEW Clinique Sonic System Purifying Cleansing Brush is suitable for all skin types and ages. It is completely waterproof so can be used in the shower, which is perfect for my daily routine. 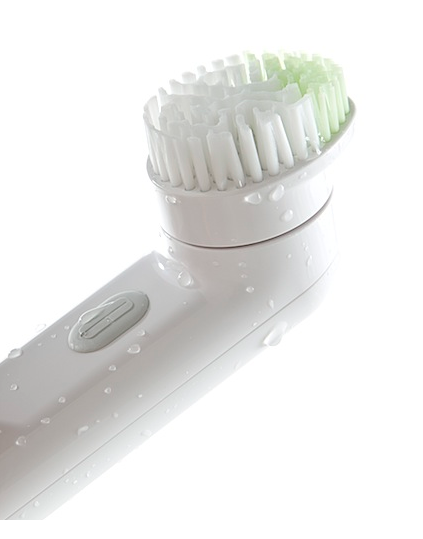 The Anti-microbial technology helps to keep the bristles clean and fresh; plus it keeps a full charge for 180 minutes making it ideal for travelling. It is recommended to start using this brush 30 seconds a day and then build it up to 1 minute. You could even cleanse your skin both morning and night if you feel like your skin craves it. I find that once a day is plenty for my skin and it's enough to see all the benefits. You can use any water based cleanser with this brush, so any gel/foam texture would be great. Speaking of benefits, this Clinique Cleansing Brush will purify your pores, smooth out and refine your skin tone, exfoliate those dead skin skin cells and therefore help any serum/moisturizer penetrate deeper. This is also a great device for those of you with problematic acne prone skin. 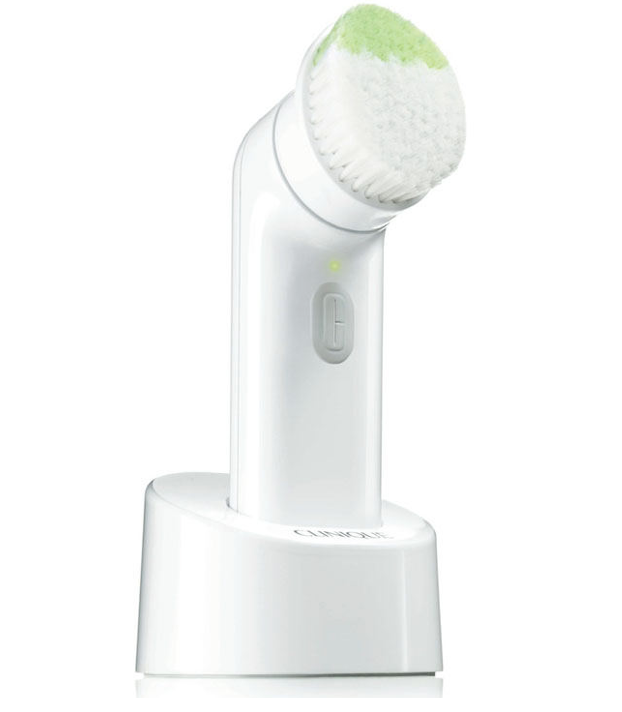 Just like the famous Clarisonic, it will most definitely help to clear up your skin, and with regular use keep those spots at bay. As you can tell already, I am very happy with the NEW Clinique Purifying Cleansing Brush. I have already seen a difference in my skin and I haven't even been using it that long! It's a beauty must have and I would highly recommend it to anyone. Give it a try and let me know how you get on! Current Favourites: Makeup, Skincare & Random! !